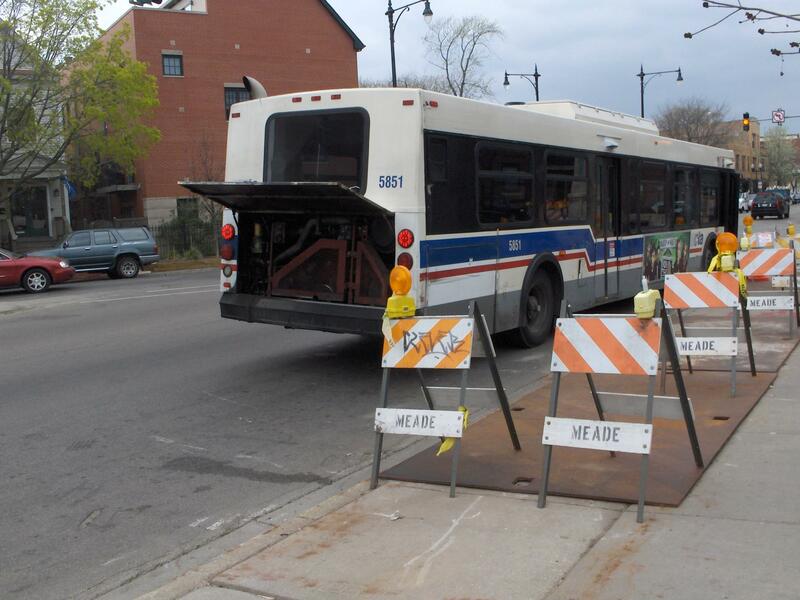 I was taking the #11 Lincoln Bus last night going south and at Lincoln and Waveland was a disabled bus. The driver let his passengers on our bus and told our driver that his transmission went out. What I wonder is considering the age of this bus (17-18 years) and the cost of a new transmission plus the retirement for the TMC's supposed to begin this year, would the CTA just send this bus to 77th and Perry to be scrapped and use the spare parts on other TMC's, or would they replace the bad transmission with a new/used one despite the costs? The pic is really fuzzy, but is that smoke I see coming out of the left front wheelwell? Already one of our New Flyers is out of service(according to one line in the story, it may be for a while). Quote from Ms. Sheila Gregory... "Bus #126(#1194) will not be in service Thursday because it sounds like damage(to the bus) was signifigant. I would question the accuracy of that report. The reporter didn't know the difference between a bus number and a route number, and, taken at face value (since there is no bus #126 in the fleet), it would seem to imply that route 126 wasn't going to be operating tomorrow. This clearly isn't the case, as only one bus was damaged. I don't know the extent of the bus's damages. It may be out a few days, it may be out a few weeks. However, the way that report was written, I wouldn't draw too many conclusions about anything. I was waiting for the first 1000 to be cracked up. And with 2635, it is taking less and less time. Well, technically, the only thing we know Sheila Gregory said is "sounds like damage was significant." Everything else was the reporter's words. 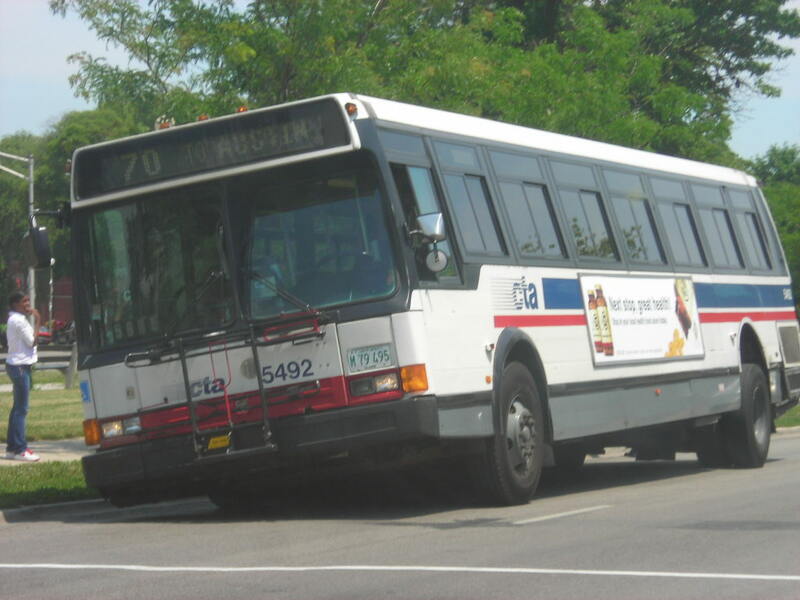 Yesterday morning I saw 4507 being towed down Milwaukee. Talk about a bad place for a bus to be broken down!!! I was walking north on Lincoln past Irving Park and stopped blocking 3/4ths of SB Lincoln Ave. was 5864. There was one emergency triangle down behind it, with the engine cover open. The engine was not running(presumably quit running), either that or something else inhibited the driver to curb the bus(i.e transmission, etc...). I waited about 25 minutes to see if a hook came, but none showed up. To those picture posters, how do you do it here? I've tried it time and again, and the site refuses to upload them. Look at post 2392. The only difference with the new software is that there is a Manage Current Attachments pulldown in the editor screen that lets you insert an attachments tag in the text of the message, resulting in the thumbnail showing in the body of the message when you click Preview Post. (Also, "Add Attachment" has become "Upload.") If the Attachments panel does not say "Attachment space used Unlimited of Unlimited" the administrator will have to reset your defaults. Clicking "My Controls" gives you a "Manage Your Attachments" choice, and you can see there if any attachments actually uploaded. 532 was disabled at Foster & the Edens this morning. Do those Optimas really look like they will last a long time? They are so cheesy looking. These buses belong in smaller city transit like Rockford or Madison. This didn't take long. Less than one year of service and already a Optima is broke down. If it actually had a mechanical failure, it was probably less than a month of service, talking about less than a year. Based on its location, I would guess that it was in the process of being delivered. Of course, it is too early to come to conclusions without more evidence. Based on other reports in this thread, it could just be a lunch break (unless it was actually on the Edens). Bus # 5851 was broke down at Lincoln and Grace Street. It looked like something was dripping near the gas tank. Right down into an electrical construction pit, if pictures don't lie. With your prior report of 5864, it looks like buses are breaking down in near order, and the 5800s just got new power trains a couple of years ago. Someone on Ask Carole was complaining about 7638 and 7639 (ahh, NABI love ). 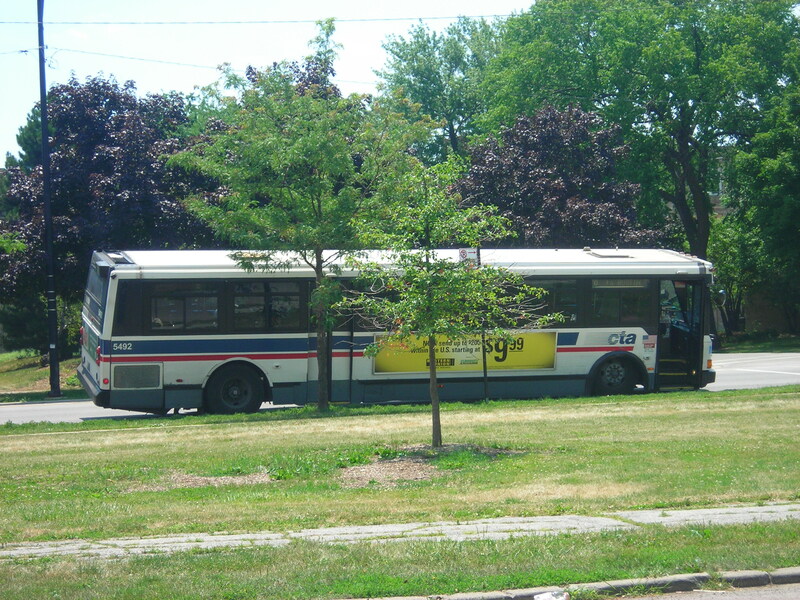 Bus 532 has been in service for a while, out of North Park Garage. 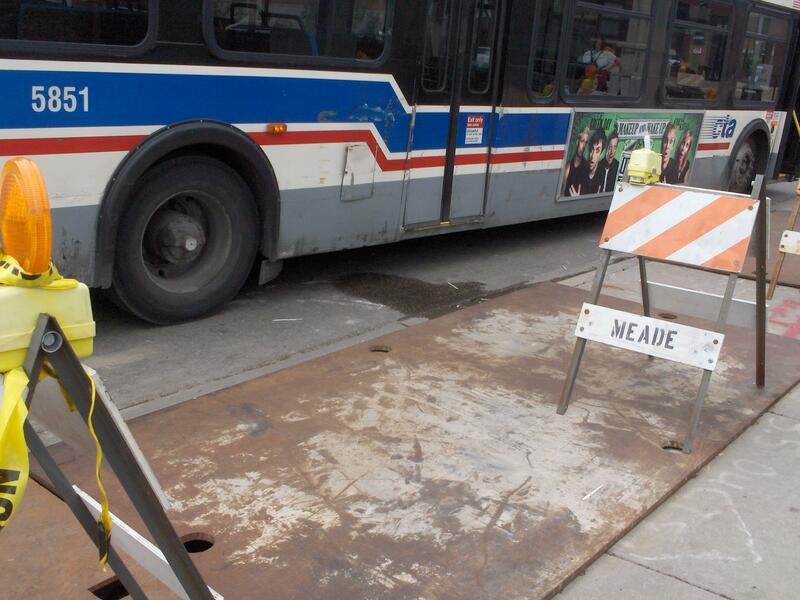 Just because a bus is disabled doesn't mean there's anything major wrong with it. The buses of yesteryear didn't have a million computers tracking every little component and shutting the whole works down if something got even a little out of whack. Lots of mechanical equipment these days is designed to protect itself in case a certain component suffers even a minor malfunction. Back in the day, that wouldn't even be noticed until it was manually inspected, or even until the component failed. With any new equipment, there can be teething issues that have to be worked out. Then again, it could simply be the fact that North Park Garage doesn't know what the word "maintenance" means. The buses of yesteryear didn't have a million computers tracking every little component and shutting the whole works down if something got even a little out of whack. Lots of mechanical equipment these days is designed to protect itself in case a certain component suffers even a minor malfunction. Boy is that statement right on !!!! Way too many computers on equipment of today. Not just CTA buses, but Metra has gone bonkers with this computer stuff and it tends to cause more problems then they are worth. Something could be said about the equipment of yesteryear, and maybe problems took longer to be detected....and maybe these alleged problems aren't even there. Lets face it, I don't think too much of the stuff made today can match the older Flxibles and GM's. It is just way too sensitive and there are too many gimmicks. I long for the days of open windows (no a/c), buses that ran (sometimes way too often...ie little or no waits), curtain destination signs that told me where a bus is going (does it say Red or Ked...where is Dear street (Dear/Kinzie)???) and on and on. O yeah, it is possible that North Park garage doesn't understand what maintenance means...but then does any CTA property these days ????? Based on its location, I would guess that it was in the process of being delivered. Of course, it is too early to come to conclusions without more evidence. Based on other reports in this thread, it could just be a lunch break (unless it was actually on the Edens). It was westbound on Foster, just east of the Edens on-ramp. Engine door was open. I'm guessing it was a deadheading 205. It's not really a "Breakdown", but bus #1104 (My birthday, ironically) was involved in a accident at Western and Addison this afternoon. The SUV that hit the bus in the rear left quarter suffered more damage than did the bus. On the 87th route, I see bus drivers doing that all the time. They go into the Taco Bell at 87th and Cicero. 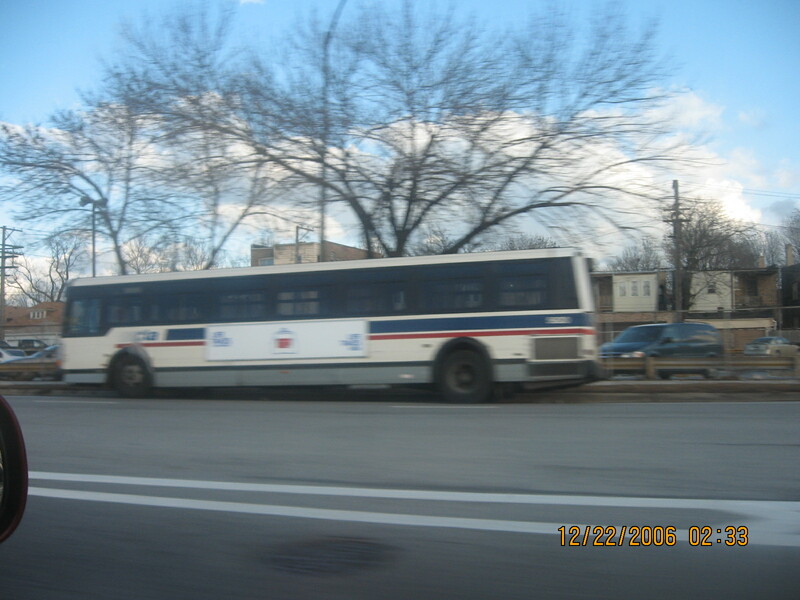 On route #97 Skokie, there was a bus driver who left his bus running with the doors open as left onto another bus. The replacing driver did not appear until 10 minutes later. The point is, anything thing could have happened to that bus, and no one was watching over it at all. 5492 broke its axel today.